Shopping for vegan grocery food items is pretty easy once you know the basics to look for. A lot of beginners often feel intimidated by this, but disregarding the elaborate and lengthy product labels and all that, a simple guide can pave a long way for you to master the art of shopping vegan food items. Note that having a well-stocked pantry at home is a trump card of every efficient kitchen. Following a vegan diet doesn’t have to be all greens and salads, instead, you can always experiment with cooking different meals whenever you feel like it! Nuts are great to snack on as it is. In some dishes, nuts are also considered the perfect additional ingredient to help step up the flavor. They are notably good for the heart and they help you live a healthier, longer life. 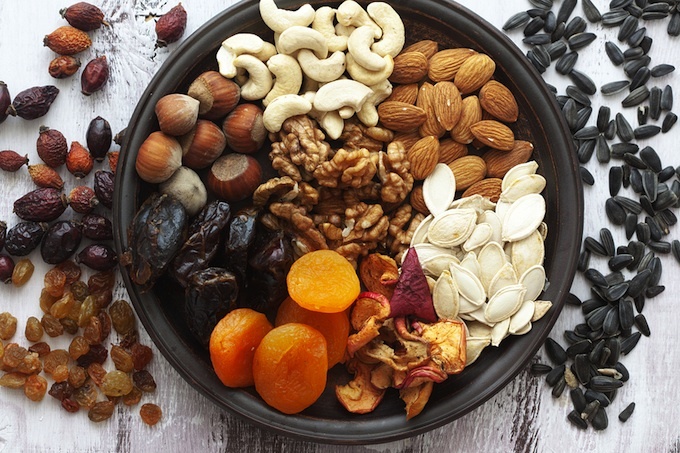 Nuts come in a wide array of kinds thus making them a must-have in every vegan kitchen. For some meal ideas, you can combine walnuts into your salads, blend cashews into cheese, or turn pine nuts into pesto. Vegan milk options range from almond, soy, rice, cashew, and coconut milk – which all packs the essential nutrients you need minus the staggering amount of calories in your normal milk. Coconut milk, for one, has high fiber and B vitamin content. Meanwhile, soy milk contains generous amount of protein and almond milk has zero cholesterol (which can clog your arteries) and no saturated fat as well. 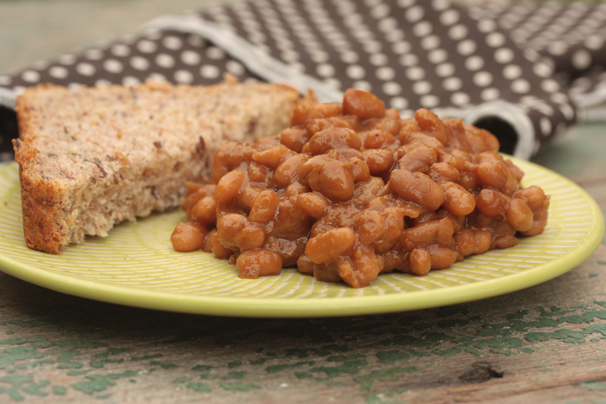 Beans are packed with antioxidants, protein and fiber which are all beneficial to the body. Regardless of whether they come in cans or in dried variety, beans are easy to store in your pantry. They add depth in almost every dish, and sometimes you can even add them in some desserts! You can never go wrong with having a regular stock of cannellini beans, chickpeas, and black peas. 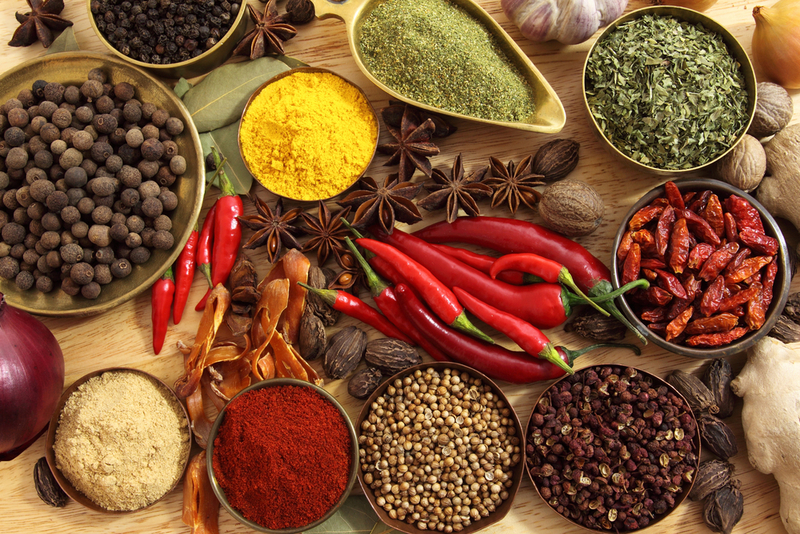 •	Cumin – It adds a smoky flavor to your meals. The taste of cumin commonly stands out in a lot of spicy and Mexican dishes. •	Cinnamon – This is generally used for sweet treats, but cinnamon also adds a rich flavor in making savory meals. •	Cayenne – The perfect spice for chili lovers! If you’re a fan of the spicy heat, have cayenne in your kitchen. •	Oregano – Often branded as the flavor of Italy, Oregano undoubtedly boosts the flavor of your meals. Plus it comes in a greenish color, making it a perfect garnish for your dishes. •	Turmeric – Turmeric adds a bright yellow color to your dishes, such as that in curry. Aside from color, it also adds an earthy flavor to your recipes and contains anti-inflammatory properties.